The ever-amazing Christy Strickler has made Jenni a beautiful card. 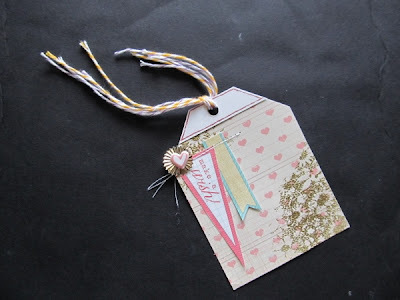 "I sized the tag so Jenni can tuck it into her PL album. I used the mail kit, a gel pen and some scraps. The yellow twine and heart sticker are from the Historian kit."